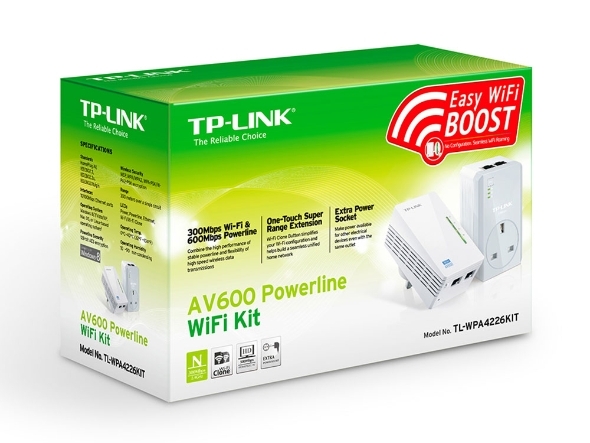 TP-LINK’s TL-WPA4226 KIT AV600 Powerline Wi-Fi Kit extends your Internet connection to every room of the house through your home’s existing electrical circuitry. The TL-WPA4220 features a Wi-Fi Clone Button which can automatically extend your router’s wireless signal, making it easy to realize seamless roaming within your home network. What’s more, TL-PA4020P has an integrated power socket, which allows an additional device or power bar to be connected to the adapter as though it were a normal wall socket. With advanced HomePlug AV technology, TL-WPA4226 KIT provides you with stable, high-speed data transfer rates over a household electric circuit for up to 300 meters. It is a great choice for a whole home solution to connect all network compatible devices - from computers, game consoles to set-top boxes for IPTV to printers and NAS hard drives. 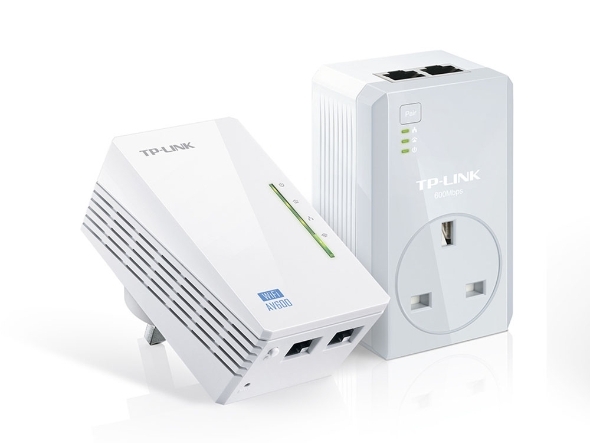 With TL-PA4020P’s integrated power socket, the new TL-WPA4226 KIT provides real convenience for your home network. The integrated power socket allows an additional device or power bar to be connected to the adapter as though it were a normal wall socket. This ensures that even with the TL-PA4020P plugged in, no power outlet is going to waste.